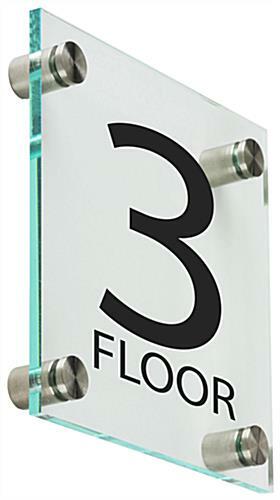 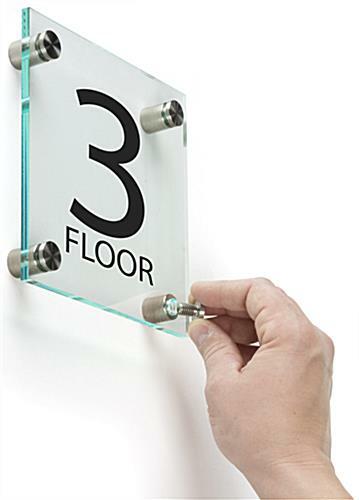 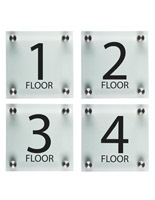 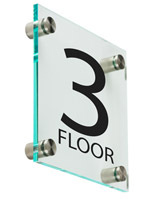 This floor number wall sign set comes with three green-edge acrylic frames with a 6" square design and pre-printed fade-resistant lettering. 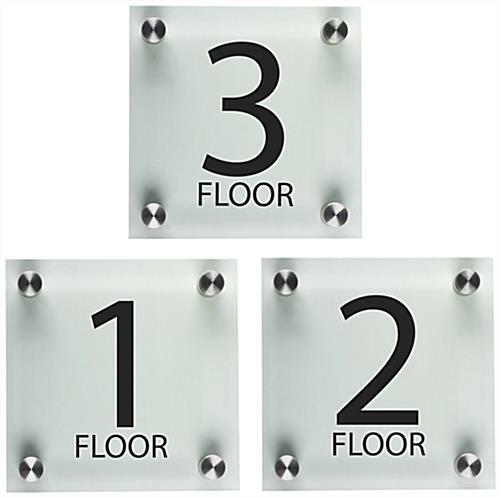 Designed to create consistent, high visibility directional signage in commercial, professional, residential/apartment buildings, each wayfinding kit includes standoff-mounted signage panels for first, second, and third levels. 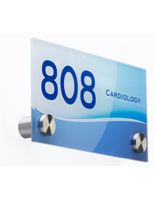 This 3-number wall sign set is printed with easy to see black letters using a fade-resistant UV printing process. 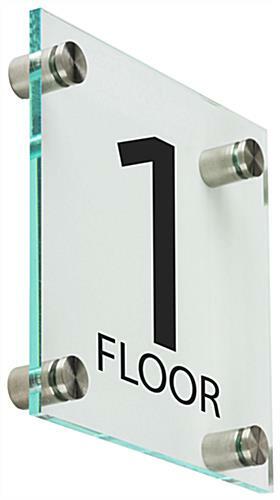 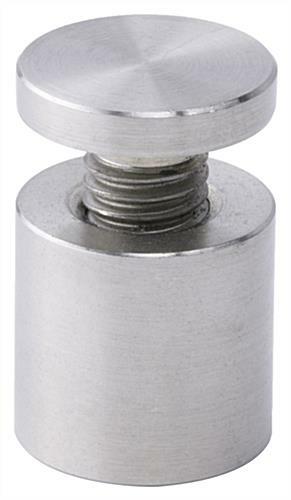 This commercial-grade wayfinding signage is made of impact-resistant acrylic for increased safety in public locations such as professional or apartment buildings, and installs using the (4) 1-inch silver finish through-grip standoffs included with each kit. 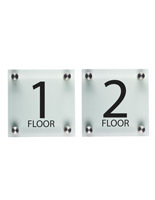 This wall-mounted sign set for floors 1, 2 and 3 is perfect for attracting the attention of customers, visitors, residents and staff to directional information. 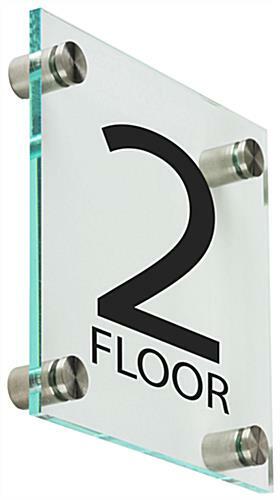 This stylish wayfinding system's 6" square panels give a contemporary look to any environment, as well as creating consistent, professional-looking directional signage. 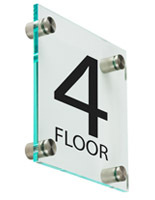 Please Note: This sign is NOT ADA-compliant.